I used to have perfect vision….. used to have. Because lately I found myself readjusting the font sizes on my screen to bigger fonts more then once (Windows: CTRL +, Mac: CMD +) and so I decided to have my vision checked. Walking into the optician on a whim I asked for a test. 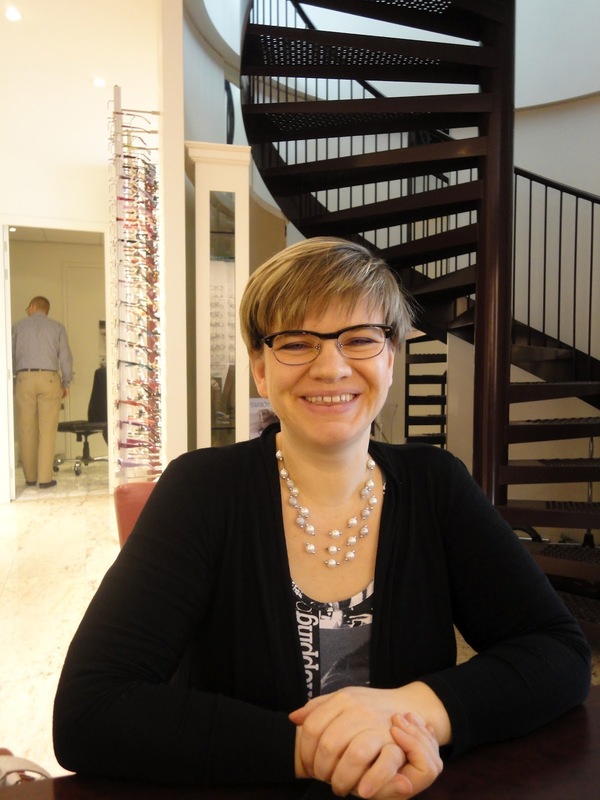 [optician] What is your reason for wanting a test, are you experiencing problems? [optician] Ok, how many hours a day do you sit behind your pc? [me] Ehhh….. not sure, do smartphone, and iPad count too? [me] Pretty much all day except when I sleep, run or eat then…. [optician] Ok, well then we’re finished. Limit your time behind the screen to 6 hours a day max and all your problems will go away! Lol, ok now this was not the answer I expected, especially considering that my work alone requires me to spend at least 8 hours a day to look at a screen, but she explained to me that looking at something so close as a computer screen requires your eyes to constantly focus, tiring them out, causing my problems. She tested my eyes and well apart from a very light adjustment they are actually really good (normally I would not require any glasses). Seeing however that I’m not likely to limit my ‘screen habit’ (as she called it) she proceeded in measuring me with glasses. Now after all the usual checks, she took away the eye machine and the vision cards, walked out, got her laptop put me behind it and asked me to open a site where I had had problems reading the fonts. She then put on the test glasses again and tested to see whether it would actually make a difference. It did! She then proceeded with the same tests while I was watching the laptop, changing glasses to see what would work best and finding that up close to the screen I really needed stronger glasses then when I was using the vision cards. She explained that by slightly overcompensating the glasses my eyes would have to do less, making them less tired and more likely to hold out. As long as I would take some more ‘down’ time too. I love this. She completely thought out of the box. In stead of telling me to bugger off or sell me glasses just for the sake of it she actually analyzed my problem, adjusted the testing to fit my personal circumstances and gave me some pretty good advice! I will. And I will take more downtime too, it really shook me up about taking better care of myself..